Australian scientists have developed a knitting technique capable of producing electrically-conductive Spandex-carbon nanotube hybrid textiles at industrial scales. 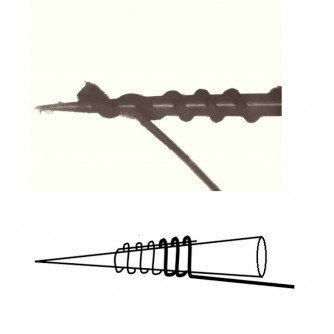 As described earlier this month in a paper published in ACS Nano, http://pubs.acs.org/doi/abs/10.1021/acsnano.6b04125 the stretchable fabrics “exhibit excellent performance” as sensors and artificial muscles. Potential applications include adjustable smart clothing, robotics, and medical devices. At the core of the material is regular old Spandex, which is basically artificial super-rubber spun into fibers. 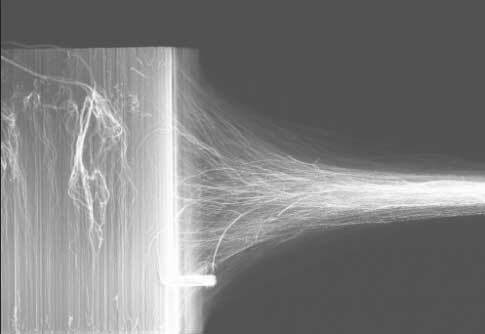 In the process outlined in the paper, SPX filaments are coated with aerogel sheets of carbon nanotubes. Carbon nanotubes have the neat property of tunable electrical conductivity, and by tweaking the fabrication process, it’s possible to create materials with electrical and mechanical properties that change as the fabric changes shape. Meet the bike shorts of the future. “The coating method operates at room temperature, requires no solvents, and does not compromise textile production speeds,” the Australian team reports. As such, the hybrid yarns are also pretty cheap to produce—a key requirement. Another possible biomedical application is as a “lymph sleeve,” a compression sleeve used to treat lymphedema, a common side effect of cancer treatments. We have come quite a long way from the TV remote control. Technology has undoubtedly made our lives a lot easier in many respects. We’ve just about reached the point where we will be able to control nearly everything in our home remotely with the touch of a smartphone. But for those little tasks inside the home, why bother with a smartphone? What if you wanted to use small appliances or your computer without messing with the on/off switches on each device? Several researchers have already solved that problem by designing electronic textiles that could enable users to control a computer or small appliance by swiping a finger over fabric. Although e-textiles are already on the market in many forms, the researchers wanted to improve upon existing technology. Most have “poor air permeability, can’t be laundered or are too costly or complex to mass-produce,” according to a news story from the American Chemical Society. So the researchers developed a self-powered nanogenerator by screen-printing conductive carbon nanotube ink onto nylon fabric. And since this was a wearable device, of course, it needed to be washable. They combined polyurethane, a synthetic polymer, with the carbon nanotubes, adhering them to the fabric. After wrapping the entire device with silk and turning it into a wristband, the researchers connected the device to a computer and other small appliances to demonstrate how it could turn on and control appliances from several feet away. 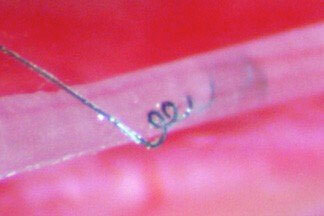 And according to the researchers in the article, their e-textile is inexpensive to mass produce. Besides making life easier for us able-bodied folks, the device could also help those with limited mobility or even disabled people better navigate their environment. The paper, published in ACS Nano, is “Screen-Printed Washable Electronic Textiles as Self-Powered Touch/Gesture Tribo-Sensors for Intelligent Human–Machine Interaction” (DOI: 10.1021/acsnano.8b02477). Watch the video below to see how the e-textile device can control small household appliances and a computer.